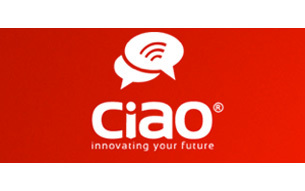 Ciao Group, Inc. (CIAU) today announced the Blockchain Frontier Markets Project. The Company recently announced the launch of its Cryptographic Enterprise Division lead by Henryk Dabrowski coming to Ciao from Alternet Systems, Inc. (ALYI) where he led the development and subsequent sale of Utiba Americas, a mobile financial remittance solution. Mr. Dabrowski has been working with Aubrey Brown, CEO of Ciao, over the last year on the Blockchain Frontier Markets Project. To empower the market opportunity for existing financial products from Developed economic regions to be made available to consumers, businesses and governments within Frontier economic regions, Ciao’s Blockchain Frontier Markets Project will include the introduction of a Frontier Market Cryptocurrency (FMC). Ciao will develop the opportunity for FMC to be accepted as a currency for financial products from Developed economic regions that are deployed within Frontier regions. Access to investment capital is the basic building block of any economy. Improving the technological feasibility of Frontier market public exchanges to support increased liquidity could dramatically improve access to investment capital.The African continent has $530 billion in public market capitalization across multiple national exchanges separate from the nearly $1 trillion in public market capitalization within South Africa alone.IBM (IBM) announced a Blockchain project earlier this year with the Depository Trust and Clearing Corporation (DTCC) based on the Linux hosted Hyperledger Open Source Technology. Ciao Group management team has spent considerable time on the African continent over the past year developing the opportunity to connect the $530 billion in public market capitalization seamlessly with trading platforms in the United States as an extension of the DTCC’s move toward Blockchain enable clearing. African public stocks from multiple African countries traded in a single Cryptocurrency on US trading platforms cleared through DTCC accepted Blockchain transactions could monumentally increase the liquidity of investments in African public companies, and give the average individual US investor new access to the extraordinary growth opportunities only found within Frontier markets.